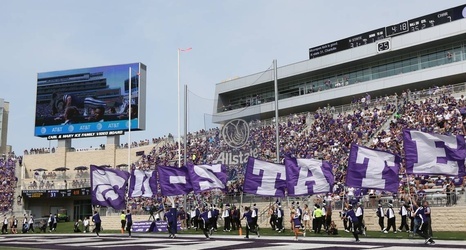 The Kansas State football team has found a new defensive ends coach. His name is Buddy Wyatt and he brings 27 years of experience with him to Manhattan. He joins the Wildcats after initially accepting a similar job at Appalachian State. He spent 2018 working as a senior analyst under former Kansas coach David Beaty. Chris Klieman hired Wyatt to replace Blake Seiler, who surprisingly left to coach linebackers at West Virginia last week. Wyatt will likely round out Klieman’s initial staff at K-State. Wyatt has previously served as an assistant at many big-name football programs, including Alabama, Nebraska and Texas A&M.